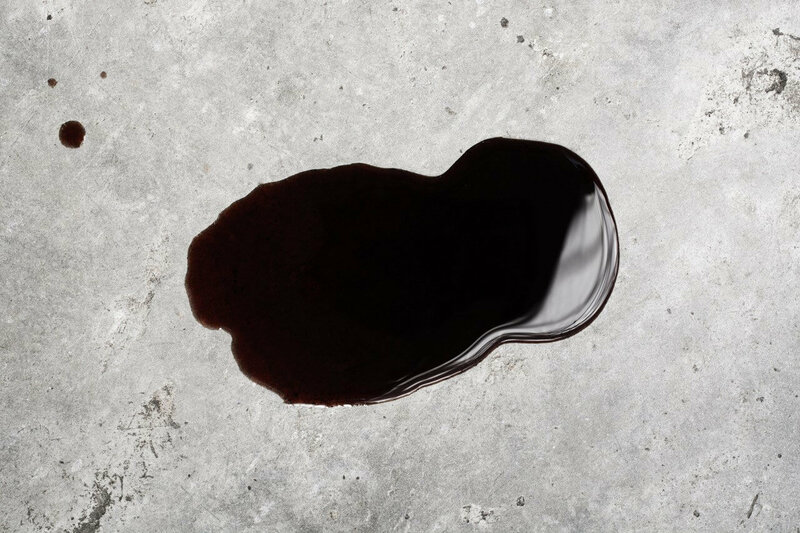 A garage floor ends up taking quite the beating due to years of oil drips, wear and tear, chemical spills, snow and road salt being trudged in, and moisture, just to name a few of the factors affecting them. 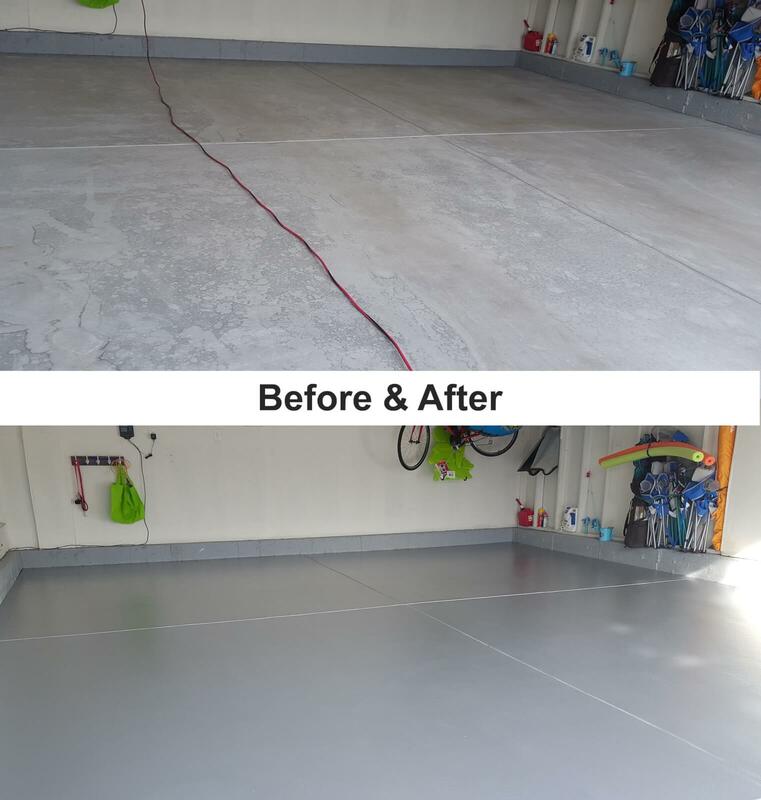 Opting to install a garage flooring of some kind can help protect your exposed concrete garage floor from all of these factors and more. It can also help make space look nicer and, if it is a high traffic area that will also be used for things like home gyms, storage, or workspaces, the right flooring will also help make it a safer space to walk on. 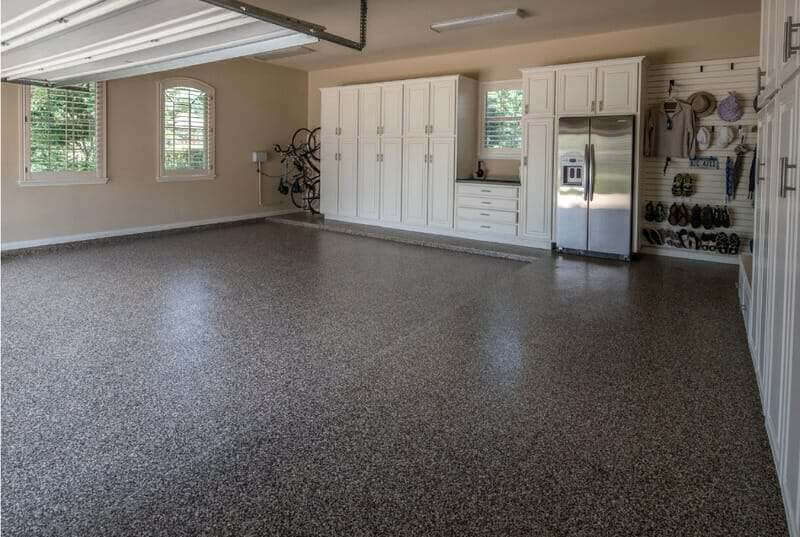 There are a number of garage flooring options you can choose from – from easy install roll out mats to snap together tiles, from epoxy coatings to polyurea coatings and much more – it all depends on your budget, what you will use your garage space for, and how you want the flooring to look. 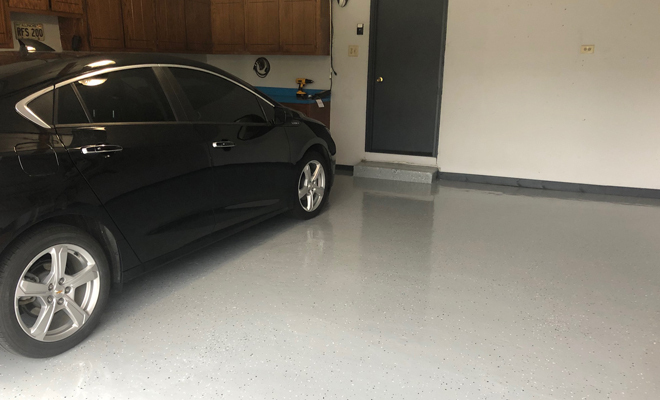 When it comes to a budget, garage floor coatings tend to cost less than other coverings, especially if you utilize a DIY floor coating coat. 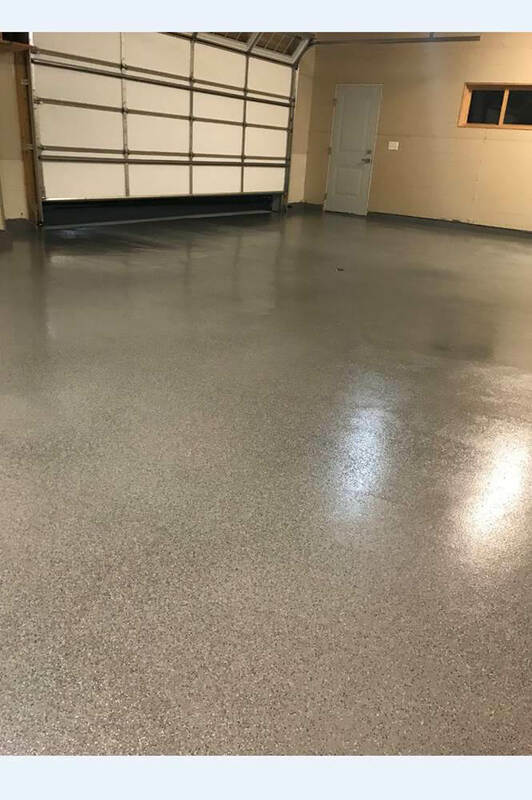 These protective garage floor coating kits can help protect against the corrosive chemicals, moisture, stains, drips, spills, and other forms of damaging substances. However, if there is constant moisture rising through the concrete floor, coatings might not be the best choice. It is important to test your concrete slab to determine if coating makes the most sense for your space. Also, if you’re looking for an easy, quick install, coatings won’t be for you. 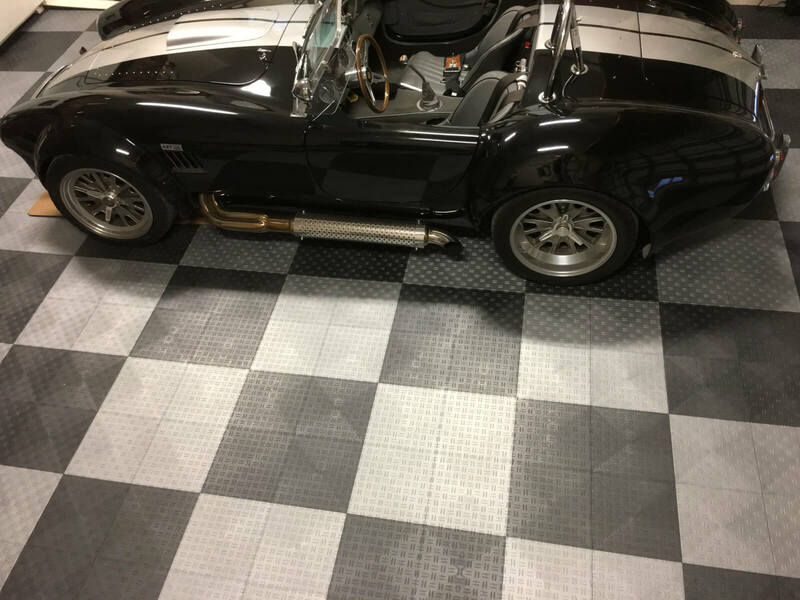 Roll out mats tend to be the easiest install when it comes to garage floor coverings. 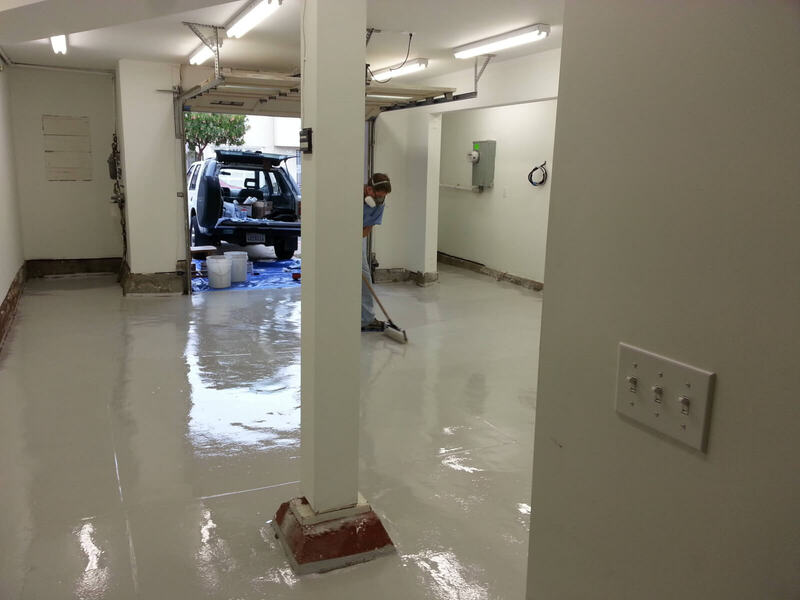 Floor Coating for garages takes a few hours of extensive floor prep to endure the coating sticks effectively. Polyurea is a kind of elastomer, a coating that, like epoxy, is made up of 2 parts – a base and a hardener. It dries quickly and provides high resistance. Its excellent adhesive properties work well for concrete, is highly resistant to abrasion and mechanical pressure, is impervious to hot tire lifting, is UV light stable, flexible, waterproof and durable. 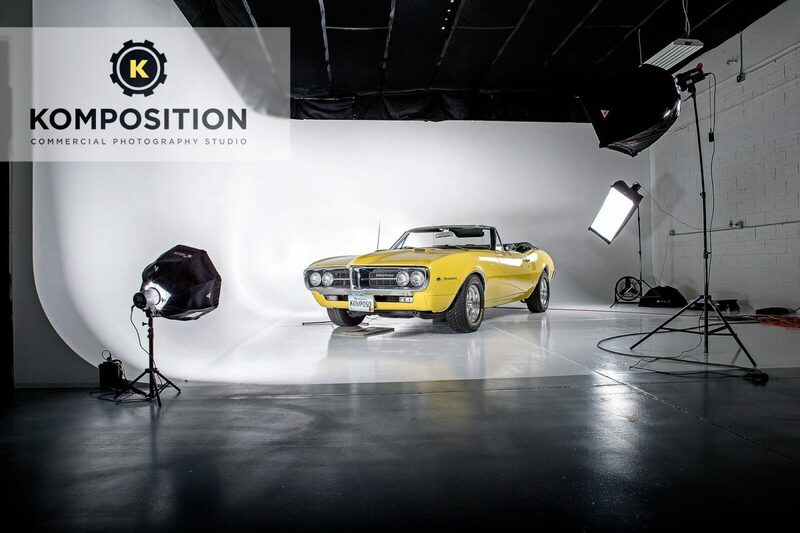 It is ideal for garage flooring finishes and can be applied within a day. Floor prep is required before installing this type of coating. You must first sand the concrete, repair the cracks, apply the base coat, apply the vinyl flakes, dry for 2 hours and vacuum excess flakes and finish with a coat of polyurea. 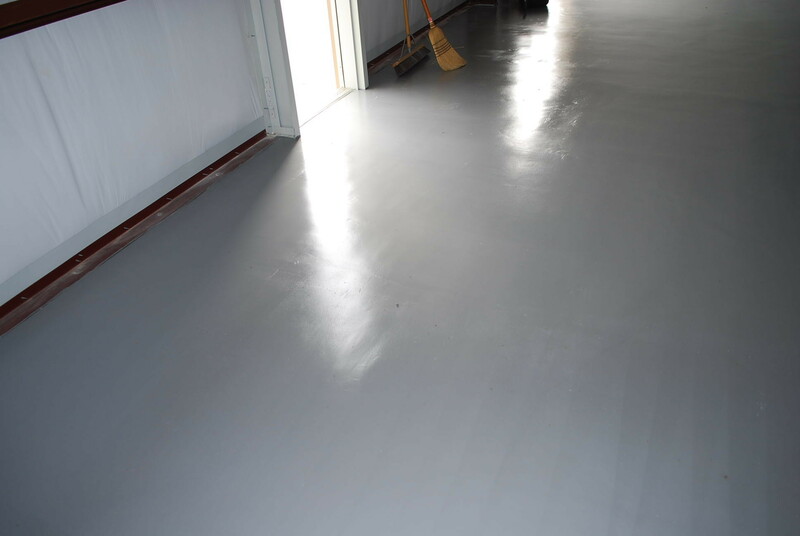 The pros of Polyurea are that because it is thinner, it tends to be more forgiving of poor floor prep than epoxy. It has an unlimited pot life and a one-day installation process. Polyurea only needs two coats, but each coat dries thicker than other single component products. 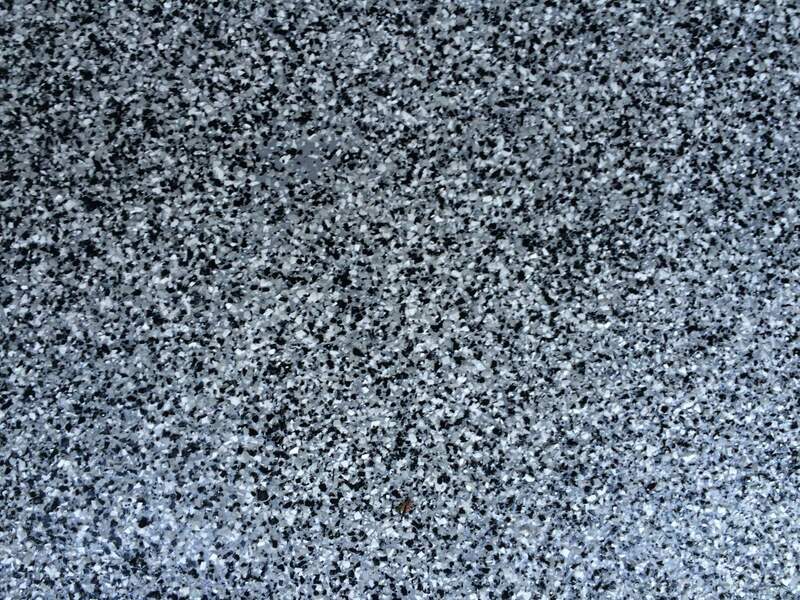 A single color coat and a single clear coat is usually enough for a random broadcast flake floor or solid color floor. Polyurea spreads easier than others, is more versatile in terms of recoat times and the thicker coverage does a better job of masking imperfections in the concrete – though not as well as epoxy. Pricing for Single Component Polyurea varies from $142 for a gallon which covers 200-300 sq. 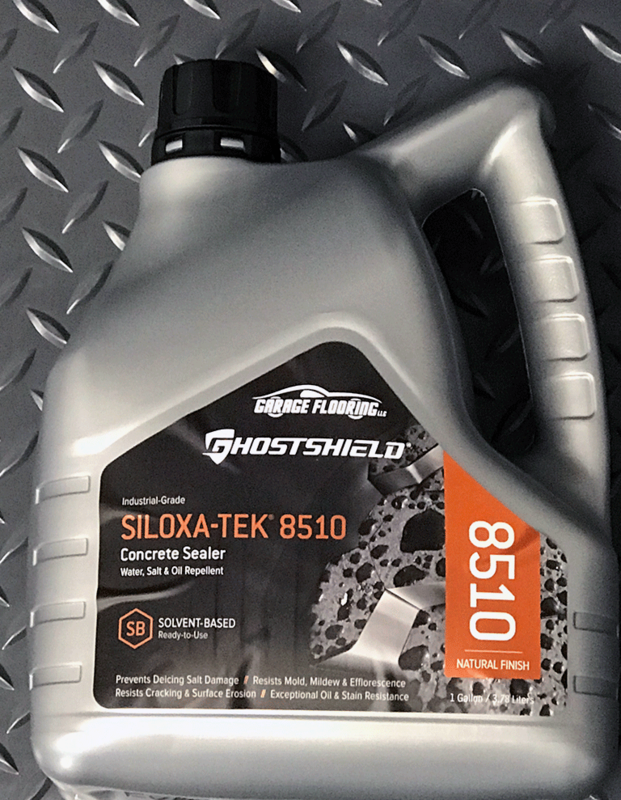 ft. You can also purchase 5 gallons of this for $679.00. 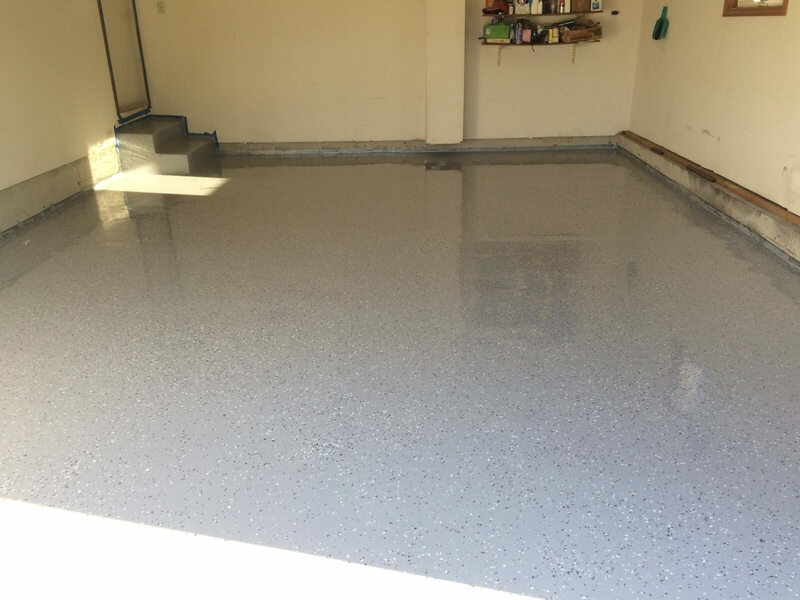 Epoxy is a thermoset resin that acts as a protective barrier for your garage flooring. When it comes to epoxy, there are a few different options to choose from, depending on your needs. These kits are simple to order and contain everything needed for a high build, 100% solids epoxy floor with premium top coats. This choice is ideal for commercial and industrial concrete flooring. This is a thick, heavy duty flooring that is ideal for flooring that has more damage than the average floor. They won’t shrink and cover more. This system requires grinding and proper floor prep is absolutely necessary for it to stick effectively. This epoxy began as 100% and offers all the same benefits, but then had a small amount of solvent added to make this option (just 93% solids) easier to install for the DIY customer. Coverage for this is at around 200 square feet per gallon, but the thicker you want the build, the lower the coverage. 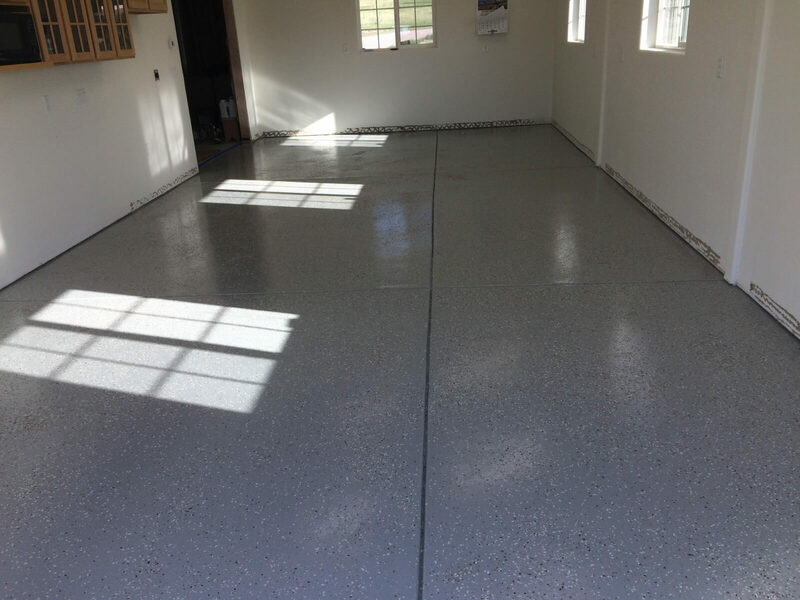 This system, like the previous ones, involves grinding, acid etching and properly prepping the concrete flooring beforehand to properly install, though it proves to be slightly more forgiving than 100% solids. Pricing ranges from $60 for .75 of a gallon covering approximately 200 square feet to $959.00 for 15 gallons. For industrial floors, or even a shop or commercial location in need of coating, this medium build epoxy can be applied at 6-10 mils thick. Built to hide moderate damage. Pricing ranges from $60 for .75 gallons which will cover just at or under 260 squ. Ft. to $959.00 for 15 gallons. 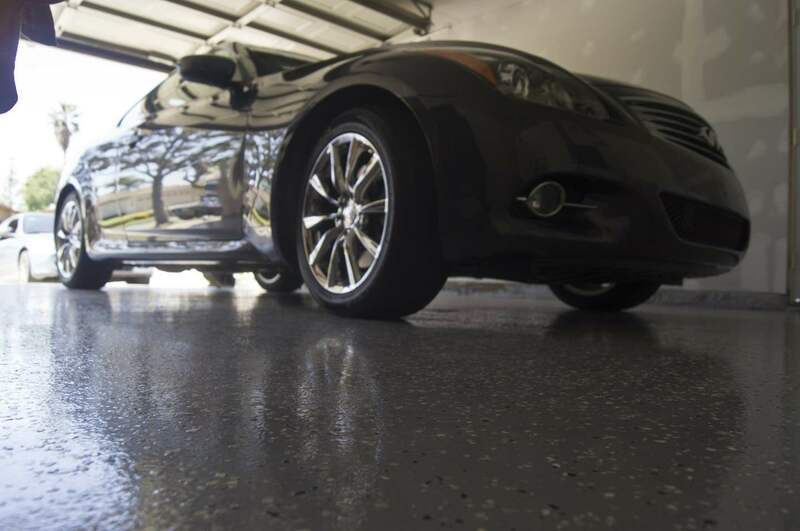 These are a lower hassle, cheaper alternative to proper garage floor coatings. 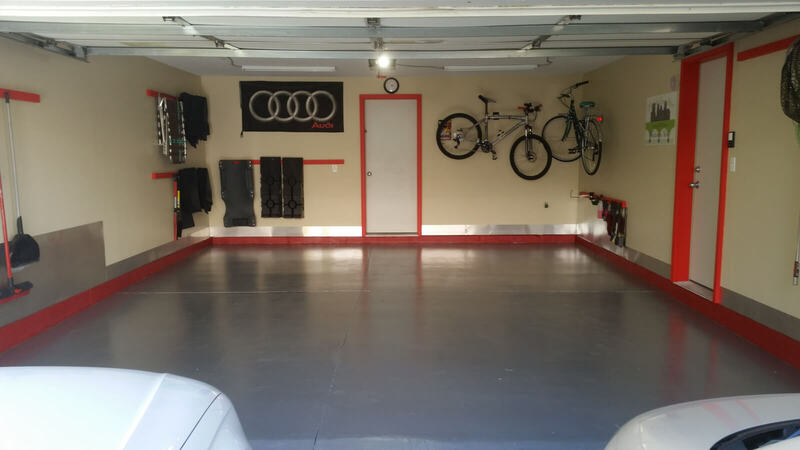 As its name implies, Garage Flooring lithium concrete densifier densifies the concrete while allowing deep penetration to harden and fortify the substrate chemically. Once this reaction takes place, the substrate becomes more resistant to abrasions and moisture, wear and efflorescence while staying breathable. It helps reduce dust and improves transforms your flooring into being high performance without needing to install a coating. The major benefit here is that little to no floor prep is needed to apply the densifier. Pricing for densifiers ranges from $39.99 for a 1-gallon concrete densifier that covers 100-400 square feet; to $1,399.00 for a 50-gallon concrete densifier. These can be used on bare concrete or even stained concrete. The acrylic sealer provides a gloss that makes dull concrete look more attractive and provides a protective sealing layer that repels water. It’s perfect for restoring decorative concrete, sealing driveways, sidewalks, and garage floors. This is a one component water based acrylic sealer that has the benefit of lacking solvent odors associated with solvent based sealers. It has a fast set time and great stain resistance. Can be opened to foot traffic in as little as 3-5 hours. Excellent product for use in the decorative concrete market.